Loadout is the crazy, free-to-play, multiplayer shooter that let tasks players with building completely unique weaponry to use in battle. So far, it's been a PvP effort entirely, with loads of giblets exploding in a competitive atmosphere. 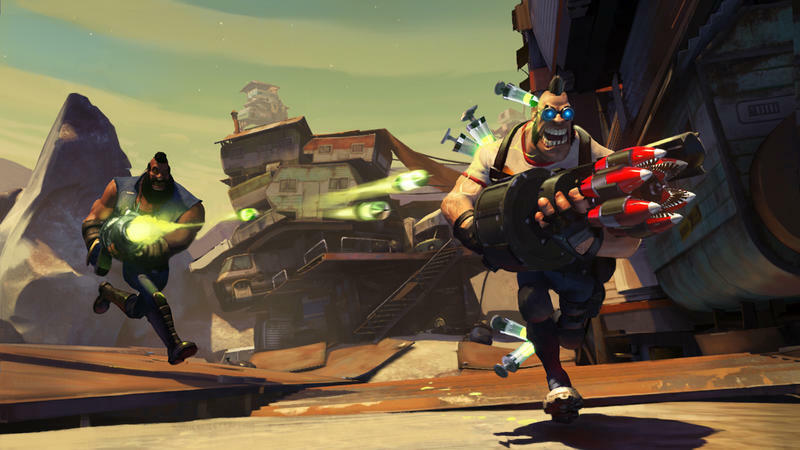 With update 5.0, though, Loadout is getting a cooperative campaign mode. This PvE experience is teased in the trailer you see above, complete with crazy looking aliens ready to deal tons of destruction to our heroes. Beta sign-ups will start soon, but the official blog announcing the news includes some tidbits regarding what to expect when this campaign mode goes live. – Fight the mysterious invaders with up to three of your friends in the new Campaign mode through many missions that will test your teamwork, strategy and quick thinking. – Grab rare loot in-game to craft your favorite weapons of mass destruction. – Organize your stash of weapon parts and equipment in the new Inventory system. If you play the game regularly and are able to get into the beta, you'll get a fancy Alien Brain Scan Deflector (Tin Foil Hat) for your character. Sweet.